ANZ Bank made available its 240 branches to sell our White Cross Lapel Badges including A Gallipoli and Somme commemorative badge. They also decorated 40 of their high use ATM machines with a Poppy motive designed by our patron Trelise Cooper. We are most grateful for their support. In 2015 the ANZ Bank established a Field of Remembrance at its Auckland head office to commemorate its own staff who were killed in World War I. After an early morning ceremony blessed the Field a plaque was unveiled “in memory of our colleagues who served and sacrificed”. From the poem Spirit of Anzac by Mike Subritzky. ANZ Field of white crosses remembering their staff who died in World war I Poet Mike Subritzky in front of ANZ memorial plaque. Dame Trelise Cooper, Patron of The Fields of Remembrance with Peter Parussini of ANZ Bank. 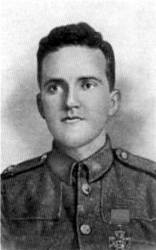 Cyril Bassett was the only New Zealander at Gallipoli to be awarded the Victoria Cross, he spent his entire career with ANZ Group. The Bank also honours him with the ANZ RSA Cyril Bassett VC Speech Competition in a partnership with the RNZRSA, aimed at promoting among young people a deeper understanding and appreciation of the sacrifices made by those who have served New Zealand in wars and armed conflicts overseas.